Kim Tae-yeon, often known by her stage name Taeyeon, is a Korean female singer. Her record list includes a studio album, a mini-album, 20 singles and 15 movie soundtracks. She debuted as a girl group member on Girls' Generation in August 2007. In 2008, she became known to the public after releasing two songs for "If" by Hong Gil- dong and "Can You Hear Me" by Beethoven Virus. Then she continued her affirmation with the song "I Love You" by Athena: Goddess of War (2010), "Missing You Like Crazy" by The King 2 Hearts (2012) and "And One "of the East wind of that year (2013). 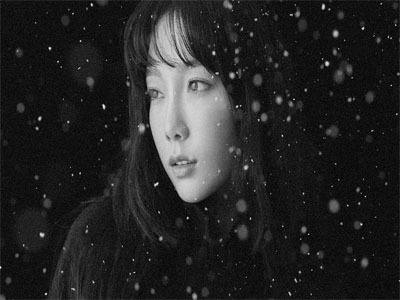 “Candy Cane” is a single recorded by South Korean singer Taeyeon (태연). It was released on December 12, 2017 by SM Entertainment.